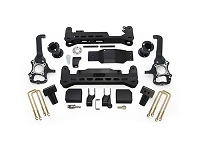 The best way to get some clearance for huge tires and one of the most menacing looks around for your 2015-2019 F150 is by grabbing a full suspension lift kit. 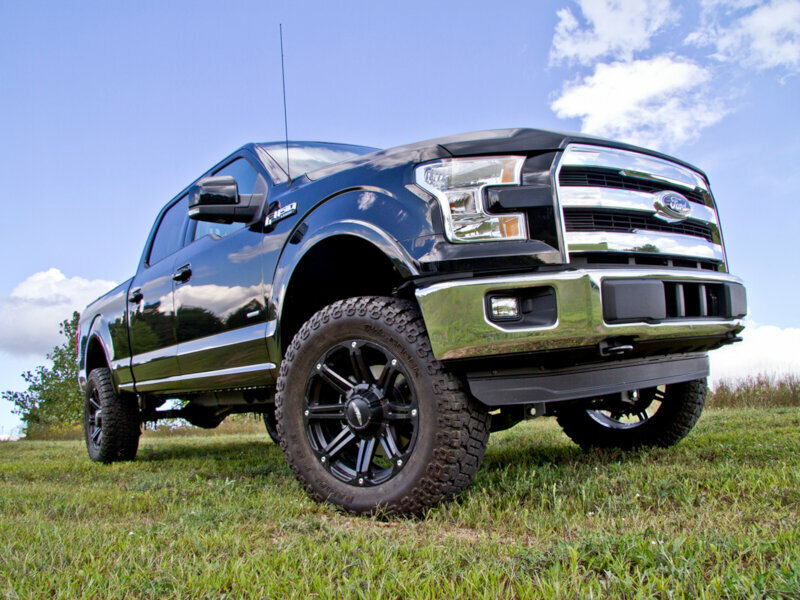 Our 4" , 6" , or even larger lift kits let you squeeze on huge off-road tires to help give your 2015-2019 F150 extra ground clearance to handle just about any terrain on the planet. After you've picked out a lift kit, make sure to check out our wheels and tires to round out the looks and capabilities of your truck. BDS 4" Coilover Suspension Lift Kit Installed on our 2015 F150 5.0L! 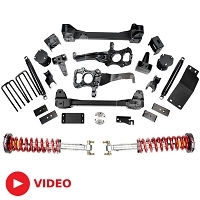 When it comes to lift kits, you usually need to start out with something kind of basic to get you up in the air, and if you want performance shocks and coilover assemblies, you kind of need to piece them together yourself. 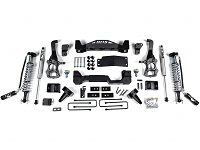 Our friends over at BDS didn't much like that process and decided to give your both a high-quality lift kit and serious suspension all in one place with their 4" Coilover Suspension Lift Kit for the 2015-2016 F150s. 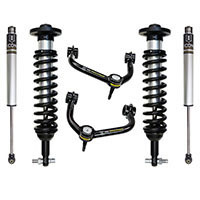 The system comes with all the hardware you need to get your truck riding 4" taller than stock, as well as powerful full-length Fox 2.5 Coilovers for the front of your truck and Fox 2.0 rear shocks that provide good on-street ride quality and absolutely amazing off-road performance. We were in love with this kit almost as soon as BDS released it, so we put it on our 2015 F150 5.0L Desert Runner Project Truck as soon as we could, though we did spring for the upgraded DSC 2.5 Fox Front Coilovers. 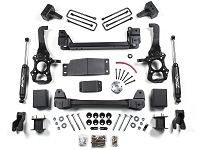 The kit has performed beyond expectations, and is arguably one of the best suspension upgrades we've made to any of our trucks. We like our trucks big, bad, and extraordinarily tough, and it's going to come as no surprise to Stage 3 fans that we lifted our 2015 F150 3.5L EcoBoost nice and high into the air with a 6" lift kit, big wheels, and mud terrain tires. We turned to our friends over at Zone Off-Road and their 2015-2017 F150 4WD 6" Suspension Lift Kit to get us our extra ride height, and then we added 20x10" Fuel Maverick Wheels with a -24mm offset wrapped with 35x12.50" Nitto Trail Grapplers. The end result is absolutely awesome. 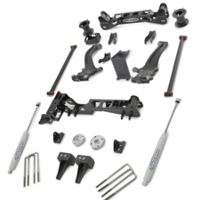 BDS Suspension First to Market with a 2015-2017 F150 4WD 6" Suspension Lift Kit! 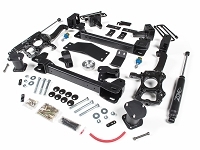 We weren't totally surprised that our friends over at BDS managed to beat everybody else to market on a 2015-2017 F150 Suspension lift kit, but we were a little shocked by how quickly they were able to do it. 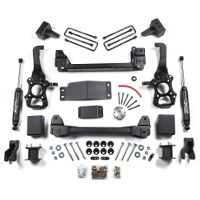 In any case, BDS just released their 2015-2017 F150 4WD 6" Suspension Lift Kit. 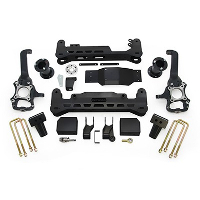 While BDS's kits are a bit on the pricey side, they're practically unmatched in quality and come backed by a "No Fine Print" warranty, which means if something breaks, BDS simply replaces it without any hassles. 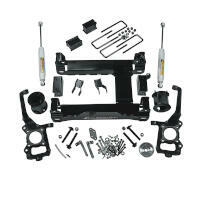 The kit looks absolutely awesome on BDS's test truck, and is bound to be a great addition to your truck as well.